Osgoode Professional Development is Osgoode's downtown centre for legal professional development. Located in the heart of downtown Toronto, OsgoodePD is committed to providing lawyers with the best in graduate education through a range of specialized, reflective and sophisticated offerings leading to a Master of Laws (LLM) degree, including the LLM in International Business Law. OsgoodePD offers the broadest range of programs available in Canada for internationally-trained lawyers. Whether you are looking to specialize with a professional graduate degree or start the process of qualifying to practise common law in Canada, there’s a learning option to suit your needs. From full-time professional graduate degrees to non-credit courses to help you prepare for the NCA Exams, OsgoodePD has your development goals in mind. Students will complete their studies in two locations: at Osgoode Hall Law School on the York University campus, and at Osgoode Professional Development in downtown Toronto. This gives students access to the full range of campus services, and downtown Toronto amenities. Osgoode's Professional LLM in International Business Law is one-year, full-time specialization is designed to give lawyers and professionals from around the world advanced training in international business law. Award-winning faculty teach the latest developments in international trade law, international finance, international business transactions, taxation of cross-border transactions and other related topics. The specialization provides students with knowledge in critical, core international business law courses while allowing you the opportunity to pursue your academic interests through electives. Osgoode's Professional LLM in Canadian Common Law provides the opportunity to take core courses in Canadian common law topics taught at the graduate level along with a wide range of elective options. The core courses are specifically designed to meet the requirements of the Federation of Law Societies of Canada’s National Committee on Accreditation (NCA). "I firmly encourage anyone who seeks to pursue an LLM degree to seriously consider Osgoode as a top choice. Osgoode's customized programs will help you bridge the gap from your background to a new legal career in Canada. The great support from the faculty will help you build on your prior experience to develop the skills that are crucial for a Canadian lawyer." "The quality of instruction from industry leaders, and the interaction with like-minded students and professionals from around the globe have been the highlights of my experience in the Canadian Common Law program." "A diverse selection of courses allowed me to engage in a comprehensive review of advanced business law issues. The faculty is a well-balanced blend of top academic researchers and leading practitioners, who offered stimulating theoretical discussions alongside valuable practical knowledge. Having practised law abroad, this program was a meaningful step in my career growth." Osgoode Hall Law School at York University's Keele Campus provides the support services and campus facilities you need to succeed academically and professionally in Canada. OsgoodePD is a division of Osgoode Hall Law School, which has been shaping the future of legal education since 1889. From pioneering innovation in legal education, to our faculty's contribution as thought leaders, to the alumni who overcame barriers in the legal community and paved the way for others, Osgoode plays a central role in Canada's legal history and future. Faculty for both the full-time and part-time and distance learning programs is comprised of some of the top legal educators in the country. They include professors from Osgoode Hall Law School and other leading law schools, along with top practitioners, judges and policy makers. An LLB or JD degree with an overall B average (or equivalent). Applicants with less than a B average in the LLB or JD will be considered provided they also have 5 years or more of relevant practice experience. they have completed at least two years of full-time study at an accredited university in a country (or institution) where English is the only official language of instruction. Candidates without an LLB or JD degree will also be considered provided they have a university degree, a superior academic record and significant work experience related to the specialization for which they have applied. Graduate degree preferred. Applicants without a Canadian LLB are also required to submit a writing sample which best demonstrates their academic ability. Please indicate the context in which the sample was written (e.g., a course paper, a research project/paper). Note: writing samples cannot be returned and should be written in English. Please note these are minimum requirements and do not guarantee admission to the program. For language proficiency details and complete admission requirements, please visit our Admissions page. General LLM is open only to applicants who hold an LLB. This program is designed for internationally trained lawyers with degrees from outside of Canada. This program does not qualify students to practise law in Canada. Visit the International LLM admissions website for details on minimum language score requirements. We encourage applicants to apply early as the OsgoodePD Admissions Committee meets regularly to review complete files. Late applications are not considered for the Canadian Common Law or International Business Law and other full-time specializations. Subject to space availability, late applications may be considered for other specializations. Submit your application using York University’s Graduate Studies Online Application Process. A non-refundable application fee of $100CAD is required, payable by Visa or MasterCard. Under the Degree Selection list a pop-up box will appear. Enter ‘LLM’ in the Search all Columns box on the top right corner. After you’ve submitted your online application we’ll be in touch within 3-5 business days to provide you with your student/application number so that you can proceed to the next steps. Once you’ve received your application number, you can begin to upload your application documents via Myfile, mail your transcripts, and (if applicable) submit language test scores. For a detailed outline of application documents required for the admission process, head to our Admissions Requirements page. Transcripts: You are required to provide transcripts from every post-secondary institution you have attended. Transcripts from every post-secondary institution you have attended are required. For the purposes of your initial application, you can either send your official transcripts (mailing address below) or upload copies of transcripts through Myfile. Uploaded transcripts are sufficient for the initial assessment of your application. However, your admission will be conditional pending till the receipt of official final transcripts. Please note given the high volume of transcripts the office of Graduate Admissions receives, it typically takes about 10-15 business days for transcripts to be matched to your application. We strongly encourage you to submit your transcripts early. To be considered, ‘official’ transcripts must come directly from, and bear the seal of, the issuing institution. If the institution issues transcripts directly to you, the envelope must be sealed by the institution and remain sealed until opened by York University. If transcripts are in another language (and your University does not issue translated copies), an official English translation by a certified translator is required. Translations by a certified translator must be sent directly from the translator to York University. If you have taken courses at York University, we will obtain transcripts on your behalf. Please provide your York student number with the application and ensure that you have no outstanding fees. Photocopied or faxed transcripts are not considered to be official. Transcripts from other credential evaluation services are considered “unofficial”. Original transcripts submitted become the property of York University and cannot be returned. NOTE: The LLM in International Business Law is available only as a full-time program and does not qualify graduates to practise law in Canada. For complete details, including application deadlines, visit the individual program pages. Fees for Domestic Students: Tuition for the Professional LLM program is currently $24,132.02 plus supplementary fees. Supplementary fees for the Summer 2017 term are $160.65 for part-time students, and $321.30 for full-time students. Tuition and supplementary fees are payable in three full-time terms or over six part-time terms. Students in the International Business Law specialization pay fees over four full-time terms. In addition, a $15 administrative charge is levied by the Faculty of Graduate Studies each term. For complete details please visit the Student Financial Services website. Fees for International Students: Tuition for the Professional LLM is currently $35,537.70 plus supplementary fees. Supplementary fees for the Summer 2017 term are $160.65 for part-time students, and $321.30 for full-time students. Tuition and supplementary fees are payable in three full-time terms or over six part-time terms. Students in the International Business Law specialization pay fees over four full-time terms. In addition, a $15 administrative charge is levied by the Faculty of Graduate Studies each term. For complete details please visit the Student Financial Services website. Fees include the required course materials, provided in a balance of hard and electronic formats. Some materials may only be available in electronic format. An additional charge will apply to any shipping of materials outside of Canada. Light meals are provided for students attending classes in person in Toronto. Tuition and supplementary fees are set by the York University Board of Governors and are subject to change at any time. Students who complete the program in fewer than the above will have their final installment added at the end of their program. Students who require more than the above will be subject to additional tuition fees. All those admitted to the Professional LLM who elect to attend via live videoconference (where possible), will be required to purchase the hardware and software necessary from OPD at a cost of $300 CDN + all applicable taxes (includes shipping costs). Please note that the cost of IT equipment and software is subject to change each academic year. Visit our International tuition page for details on mandatory health insurance fees, and work permits. Students must successfully complete one term before applying for an OPD bursary. Osgoode's financial support is primarily for full-time students. The amount available for bursaries for professional students is very limited. Students who receive bursaries in one term will not necessarily receive bursaries in subsequent terms. Bursaries are awarded on the basis of financial need. Professor Marilyn L. Pilkington, Dean of Osgoode Hall Law School from 1993-1998, and founder of Osgoode Professional Development, has endowed an award to assist a graduate of Osgoode Hall Law School to pursue studies in the Professional LLM program.The award will be granted annually to a Canadian citizen, permanent resident, protected person, resident of Ontario, on the basis of academic achievement and financial need. Preference will be given to a graduate of Osgoode Hall Law School. Please note: Applications for this award are only accepted during the Fall term. Visit the Tuition page of our website for more information related to Financial Assistance for students. Entrance scholarships are awarded to the students who demonstrate the strongest academic ability as indicated by their application materials. The maximum amount awarded is $5,000. Various forms of financial assistance are available to students. York University and external agencies offer numerous fellowships, assistantships, scholarships, awards, prizes, and grants. Available graduate scholarship awards are listed on the Faculty of Graduate Studies website. Visit our International tuition page for details on external scholarships and other funding, mandatory health insurance fees, and work permits. The Osgoode Professional Development Centre at One Dundas West is situated in the heart of downtown Toronto. As Canadas economic capital with a multicultural spirit and cosmopolitan flare, Toronto is a great place to live, study and work. Torontos bustling finance district, just steps from the OPD Centre, is the gateway to a remarkably diverse economy that includes many leading law firms, the Toronto Stock Exchange  the worlds fifth largest  and a majority of Canadas corporations. The citys business capital ranks alongside economic powerhouses such as New York, Boston and Chicago. To this add a low crime rate, clean environment, hiking and biking trails, beaches, a beautiful waterfront and a public transit system that earns the city a consistent rating as one of the most livable cities in the world. Where better to take the next step in your legal education? Build your network with professionals from around the globe in and out of the classroom. These are your future friends, clients and colleagues. This Certificate in Foundations for Graduate Legal Studies is designed to provide you with the foundation you need for successful graduate legal study. The program is full-time and comprises four courses that run between January and May each year. Students attend classes in person at both of OsgoodePD and Osgoode Hall Law School campuses. After the intensive two-week orientation course, students can expect to attend class four times per week, for a total of 12 hours’ class time weekly. Classes are interactive and are taught by law professors and adjuncts who are practicing lawyers from a variety of fields. Students who successfully complete the program will be issued an Osgoode certificate indicating either a grade of “Pass” or “Pass with Honours”. If you proceed to an OsgoodePD Professional LLM after completion of the program, you may be eligible for advanced standing in the LLM or exemptions from introductory courses, depending on the requirements of the LLM you are applying for. Tuition based at an international student rate. Tuition based at a domestic student rate. The Program is currently under a review. The length of the residency requirement is: 2 terms (8 months). Foreign lawyer- UToronto, YorkPD or UBC LLM? Foreign lawyer- UToronto, YorkPD or UBC LLM? Post LLM Job Prospects in Canada? 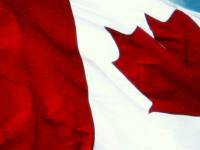 Post LLM Job Prospects in Canada? With global energy consumption going up, LL.M. programs specializing in Energy Law can give lawyers a step up in navigating the complex and ever-evolving industry. akash,fabregas4 posted on a discussion Foreign lawyer- UToronto, YorkPD or UBC LLM?